Certainly, though I found Banks’ first novel, The Wasp Factory intriguing, I could not think of including him here as being in a league close to the others I have written about. Kureishi I did contemplate, but decided against it. My view was that he had written only one work of unquestionable significance, My Beautiful Laundrette, and that that was not quite in the league of Peter Pan or Waiting for Godot or other individual works that have had a seminal influence. Rowling, I hasten to add, I see as one of the most important writers of recent years, but her most impressive work belongs to the present century, not the last one. 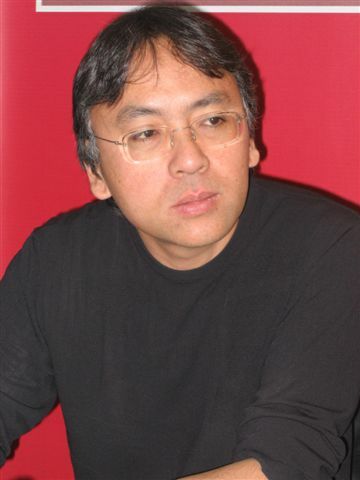 Ishiguro’s first two novels were set in Japan, and dealt with what seemed distinctively Japanese sensibilities. They looked at the diffidence of those who had seemed committed to the national perspectives that helped to precipitate the Second World War. The post-war settlement involves challenges to such perspectives, which leads to anguish amongst those who feel they were misled but should not be held culpable for a viewpoint that held the whole country in thrall. This arguably precious subject was transformed into a more widely accessible novel in The Remains of the Day, which won Ishiguro the Booker Prize. This was indeed a quintessentially English novel, dealing with a butler to an aristocrat who had been amongst those who thought Hitler no bad thing, and that Britain would do well to compromise with him, in the interests of European civilization which was being challenged by communism. Stevens, the butler, is devoted to his master, even though he is aware that such a political philosophy is problematic, and questioned even within the household. Running in counterpoint to this dilemma is his bottling up of his feelings for the housekeeper, Miss Kenton. Her apparently more radical approach to the intrigues of their employer, combined with the self-effacement the butler cannot throw off, lead him to keep silent even when she tries, not quite directly herself, to encourage him. With the War, his master disgraced, the butler still cannot quite understand what went wrong. The scene in which he meets Miss Kenton many years later, both the sadder for their unfulfilled romance, is deeply moving, not least because the butler is still not quite sure what else he could have done. Ishiguro succeeded brilliantly then in his application of what seemed Japanese sensibility to a real political dilemma that was undeniably serious in Britain in the thirties, though it seems trivial now with the hindsight of history. The novel was turned into a celebrated film, with Anthony Hopkins capturing superbly the limitations imposed by class on emotional self-expression as well as the understanding of political realities. Not entirely coincidentally, I think, the production was by the Indian/American team of Merchant and Ivory, and the script was written by the German-Jewish-Indian-American Ruth Prawer Jhabvala. Ishiguro moved onto central Europe for his next novel, which was extremely complex, and not a great success. This was followed by When we were orphans, which was a success though it was also very strange. It dealt with a boy in Shanghai whose parents vanished, leaving him with sentimental memories of what seemed a golden age, and the conviction that sinister things had happened which had been kept from him. Having grown up in England, he gets back to Shanghai to try to find out the truth, just before the Second World War (a subject which J G Ballard had also dealt with, in describing the internship of an English family when the Japanese took over the International Settlement). Ishiguro’s hero gets there before the conflict had intensified, and seeks not only for his parents, but also for his old Japanese playmate, which leads to a dizzy exploration of the war zone. The explanation, when he does get it, turns out very different from what he had imagined. His father had simply gone away with a mistress. His mother on the other hand had been kidnapped, or rather had had to go away with a Chinese warlord who had threatened unspeakable things if she held out. She is reunited briefly with her son in a manner that both reinforces his sentimentality and suggests how meaningless it all is. Ishiguro’s latest novel, Never let me go, is even more strange, dealing as it does with children who are cloned purely to act as donors for body parts. This only becomes clear to us half way through, while earlier we see the characters at a school, which is admittedly not quite normal, but where their interactions seem simply the stuff of normal school stories. As we see more however, the description of their education becomes chilling, since the inculcation of knowledge is mixed up with indoctrinating them with acceptance of their fate as donors. Most accept the position, with increasing anxiety as they realize they are unlikely to survive more than a couple of donations. The interplay between the narrator, and some of his schoolmates, as they veer between acquiescence and feeble efforts at resistance, is depressing. Even sadder perhaps are the exchanges with the teachers who are part of the organization that runs the programme, who serve it faithfully but with increasing worries about the morality of the whole business. At the end of the novel one feels washed out, the consolation that this is all fiction being balanced by the realization that such programmes are perfectly conceivable in a world in which everything may be seen as a commodity. Ishiguro’s world then is extraordinarily bleak. Individuals have to deal with this in virtual isolation, because the companionship they can achieve is necessarily brief. Communication is never easy, given the different priorities we all have, our different understanding of the world and our position in it, our incapacity to share feelings as well as thoughts in full. All this is a far cry from Nobel’s prescription that literature should be uplifting, but in recording the contribution of the only young British writer who made a considerable impact on the last century, one is perhaps acknowledging too that the world seems to have grown darker.